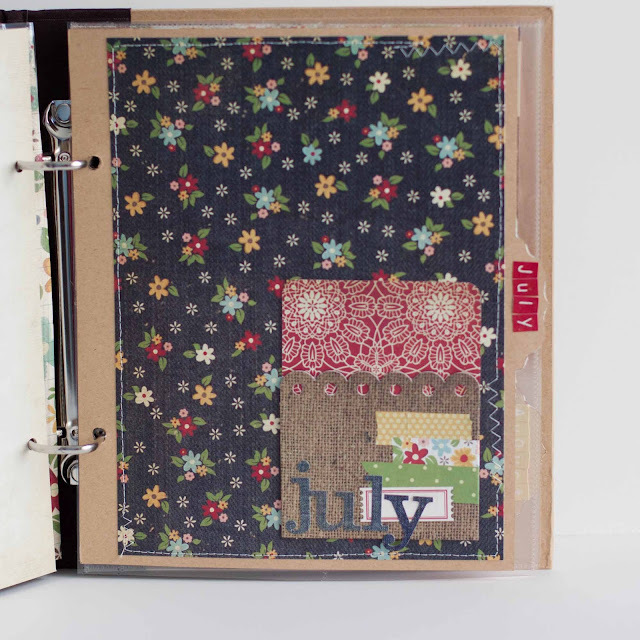 Welcome to the Simple Stories 6x8 album blog hop! You should have just come from Guiseppa's blog, but if you just happened here you will want to start at the beginning which is at the Simple Stories blog. Comment there and along the way for a chance to win a fabulous Simple Stories album assortment prize! Now let me just say, I am not a huge mini album maker. I tend to have a hard time designing in such a small scale when I am used to being a 12x12 scrapper. 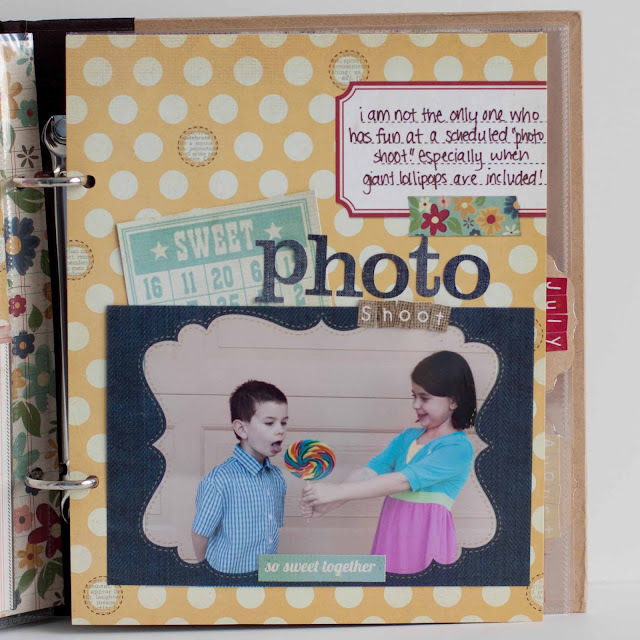 But let me tell you----the Simple Stories 6x8 album has made me a believer! 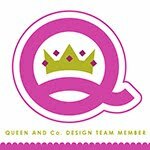 I love the concept and all the products that Simple Stories has available to make designing an entire album fast, easy and fun. And the outcome is something I adore! 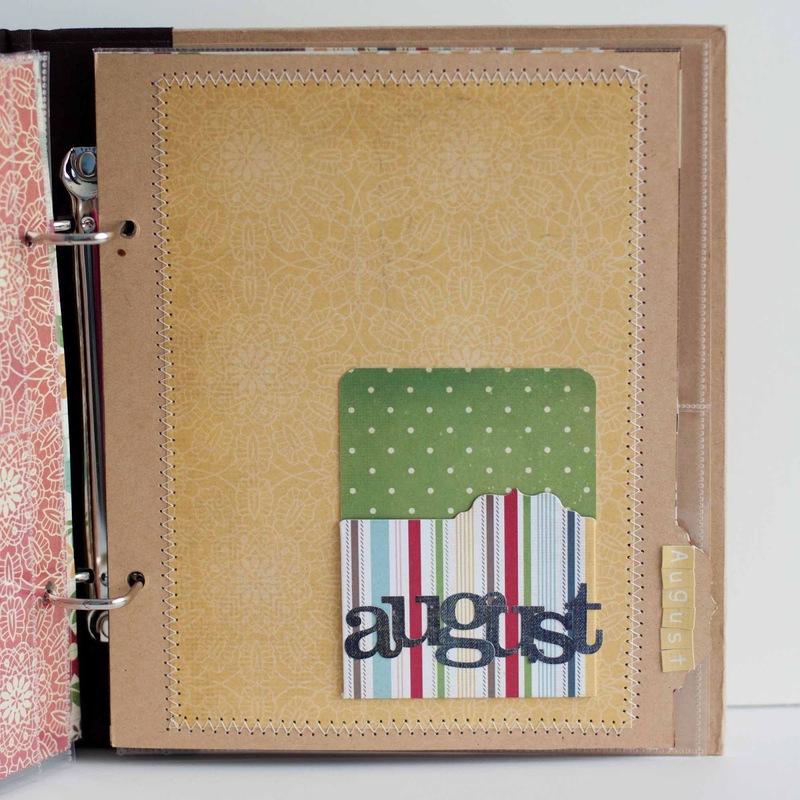 The album includes dividers and I used one for each summer month. Again I used a Memorabilia pocket adhered to the month dividers to store tickets or other, well... memorabilia! That is as much of the album as I have completed for now, but I love how easy it is going to be to add more divided page protectors and full album sized pages to each section! 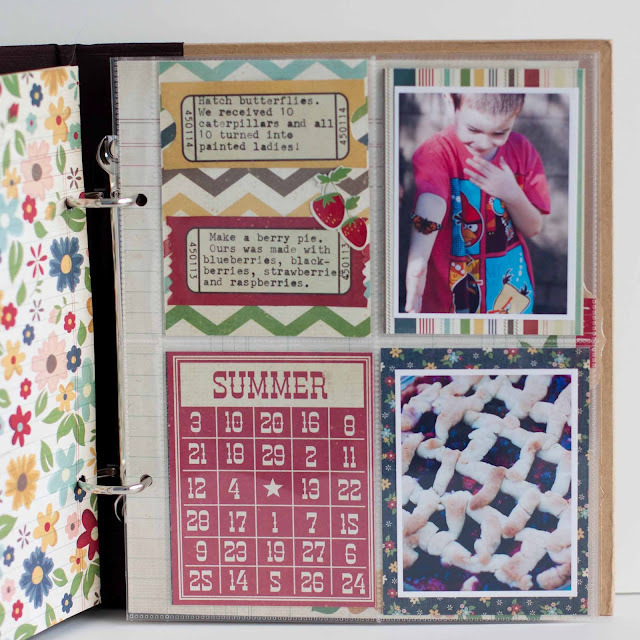 I may even pre-make pages and just add photos as we take them. I will definitely post the album again as it develops. This is absolutely the most fun I have ever had with a mini album and I can't wait to come up with a different theme for another! So if you want to try and win the Simple Stories prize be sure to comment here before you go and comment on the Simple Stories blog too! Here's to a fun filled summer! How cute! I love the month divider pages...what a great idea! Love the pockets for each month! oh i loooooooooove it, and what a fun idea for the summer ideas/photos! SO CUTE! I love that lollipop photo too, and I love all the pockets you created. Great job! Oh my gosh...what a wonderful idea to do for the kids this summer. And to have an album to document it all. I love it. Thank you for sharing. Love how simple the mix & match is to do but the results are just stunning! I love your album! The 100 things to do is a fabulous idea that I'm going to try. Thank you! 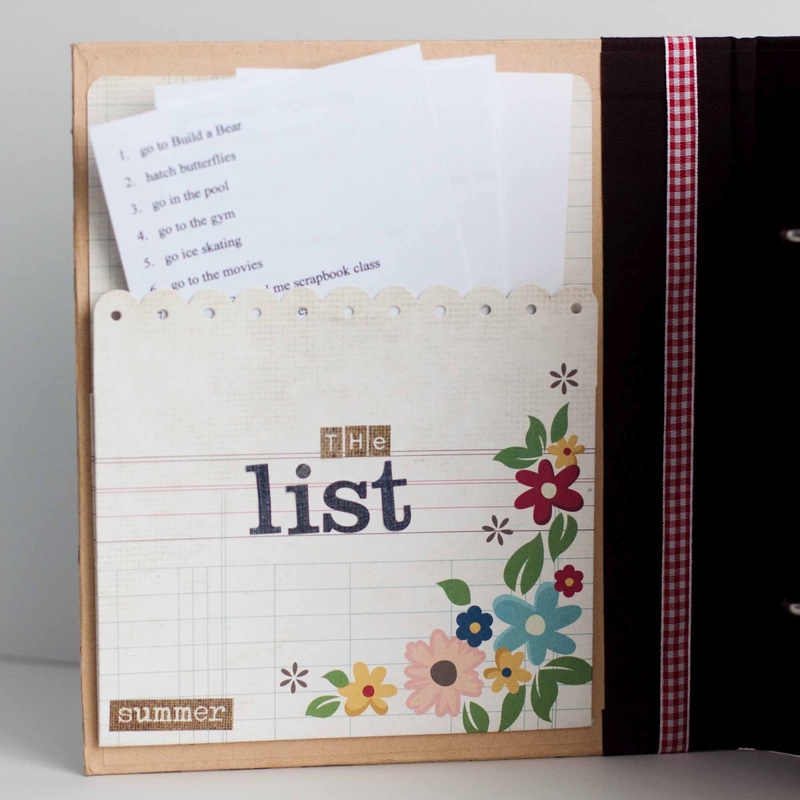 What a great idea to make a list of summer things to do and create an album as you check off that list! Almost makes me wish my kids were young again. lol TFS! What a cool book for the summer. I love your sewn elements! Gorgeous! the stitching in your album makes me want to go buy a sewing machine! love it. This is just adorable! I love the Summer Fresh line, and I have it waiting to be used! Thanks for the inspiration! This album is SUCH a great way to keep track of memories! love it! Adore the little memorabilia pocket you added! This is such a geat idea for an album!!! I love it! Thanks for the inspiration!!! Beautiful album! Love all the details and fun pics! Really love this idea! Ali Edwards has a "Summer Manifesto" along the same lines, and either one makes for a great mini album. 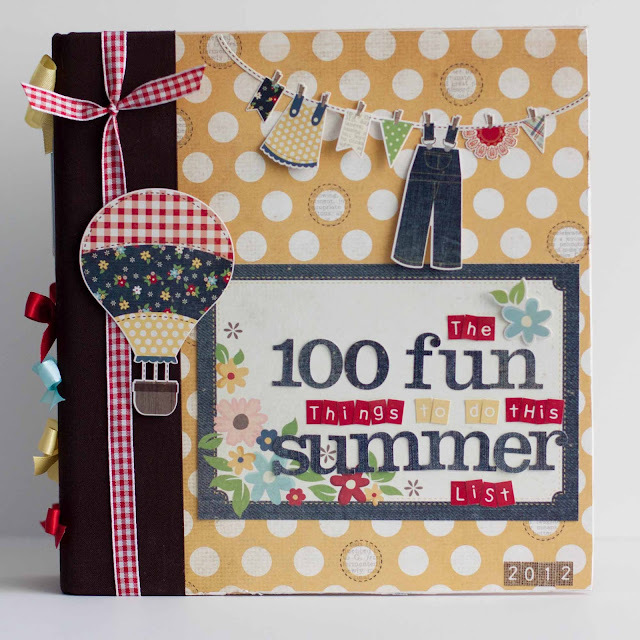 I especially LOVE the Summer Fresh collection, and how you are using it by mixing up all the variety of page protectors and memorabilia pockets. Also, thanks for the tip about sewing on the dividers, as sewing is my second favorite love! What a cool idea! I love the pockets and what you did with the cover. Great job! Fabulous album! I love the clothesline, the hot air balloon, the title... and I could go on! 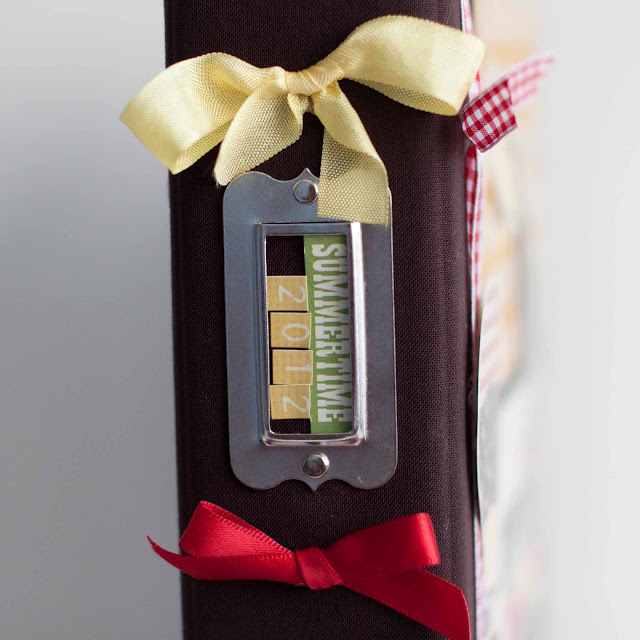 Thanks for sharing your super sweet summer mini ~ I love it! What a clever idea. Thanks for the tip that you can sew on the dividers. AWESOME idea! When my daughter is older I will definitely be doing this 100 activities idea! LOVE IT! Another great Summer Mini Album! I am having a hard time tracking one of these albums down! Love your album's title and theme! You've given me oodle of ideas to try! this is a FANTASTIC idea! 100 things to do in the summer! Another great project - thanks for sharing! i love how you typed onto the blank tickets. great idea. I love this idea for an album! Very cute idea. Thanks for the fun idea. OH how I LOVE THIS! I want to do one to scrapbook our Summer it would be awesome to have just a little album to look back on. Love this so much! love your album! It's gonna turn out awesome at the end of summer. This is such a fun idea for the album! The pages are wonderful! Great idea! 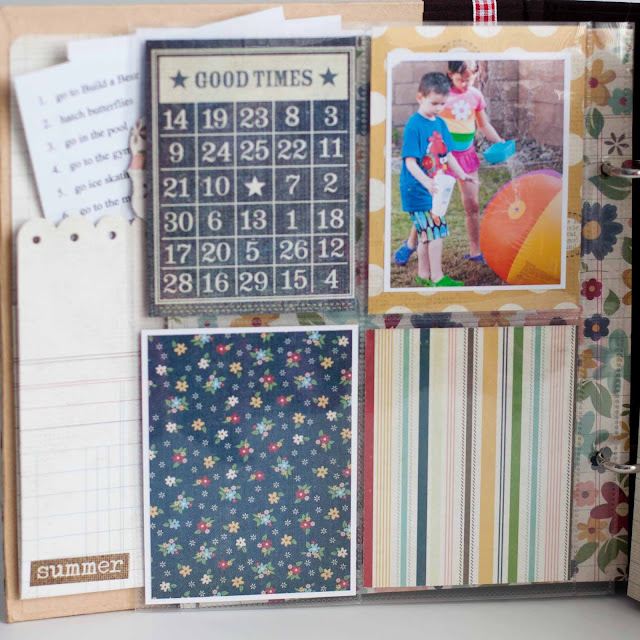 I love it when I'm reading a scrapbooking blog and I get parenting ideas:-)! I think it's great that you've got the dividers ready for the whole summer - that seems doable for me;-)! TFS! I love this album. Thanks for sharing! What a totally fun and cute idea! Nice use of this album...all sorts of inspiration here!!! What a fun idea for an album! I think you did a beautiful job rockin' the mini! Love the concept for your album! I had to chuckle at the #1 item on your to-do list...my daughter wants to go to BABW tomorrow! Wonderful color and product choices here. Thanks so much for sharing! I love the simple stories lines and really love the mix and match albums! 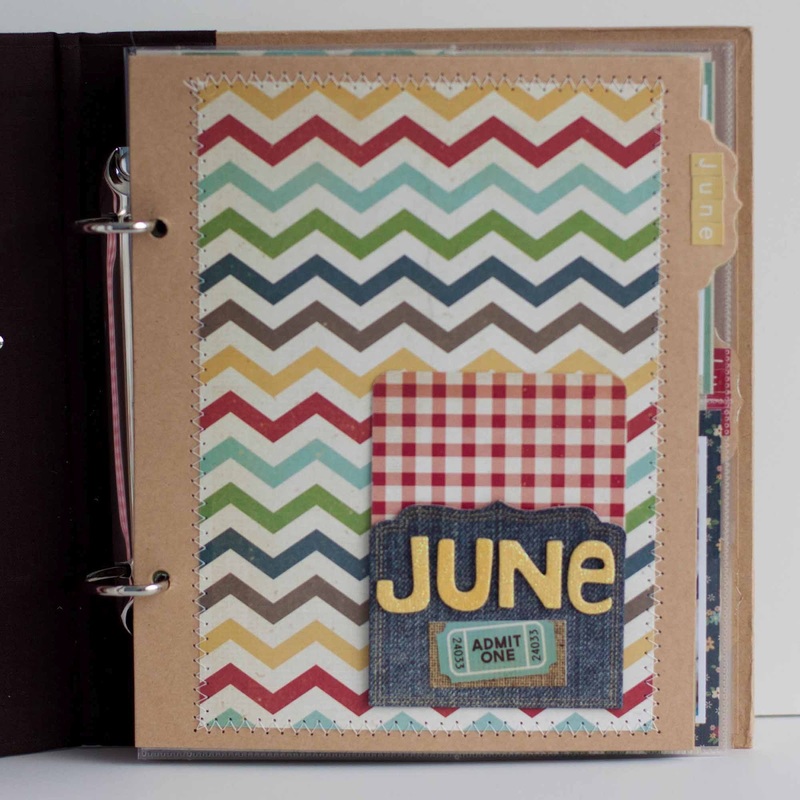 Your album makes me want to learn how to sew on my pages, it is great! So many ideas, so little time, lol! What a great idea, Rebecca! Love your book!! Great page ideas! I love the photo shoot and may have to borrow that for my own kiddos!! Beautiful album - everyone did such a great job! Wonderful album with such a fun, great theme! Gorgeous! Love your projects Rebecca!!! Awesome ideas for a summer project! I think this is great - 100 fun summer things to do. My boys always say they are bored or don't have anything to do. This would be great to have a list and actually do them and document it. A great idea. you forget so quickly . Love, love, love this album and idea!! I really need to get me one!!! Loving the Summer Fresh collection and this is a perfect use for it! Fun, sweet pages! Love it Rebecca! As I've said on every blog this is my first hop with SS and I'm enjoying it so much! I have plans specific and this is perfect!!!! Beautiful album. Love how easy is to scrapbook your memories with simple stories collection. Thanks for sharing. Hope to win! What a fun and fabulous album! So inspired to document this summer! Love your album and your photos!! Now I'm inspired to make some of these albums! This summer album is so fun! I love the idea of coming up with 100 things to do this summer. You'll have to keep us posted on what you cross off of the list.